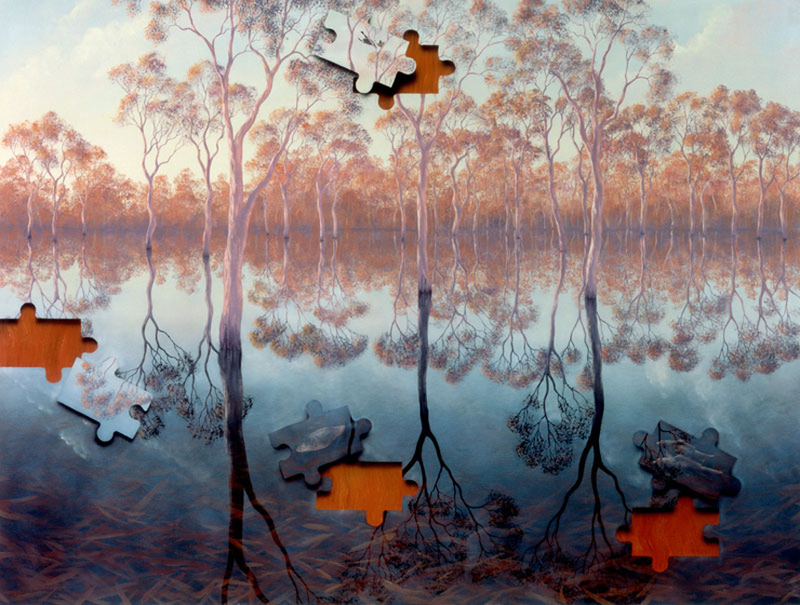 This work titled Barmah Forest is a Lin Onus limited edition fine art reproduction of his original works all produced under copyright, the edition produced is limited to 499 only, and the work is digitally titled and signed, and comes with the family copyright crest signature stamped in the left bottom corner. Lin Onus limited edition works are available from Etching House. Each work comes with a certificate of authenticity. Etching House offers up to 12 months payment plan on 20% deposit, call 0413 007 054, we at etching House are at your service 9am to 9pm 7days. The Process used for the production of this Lin Onus Limited edition fine art print is as follows – The archival fine art re-productions are printed using pigment inks on 100% cotton fibre mould made 256gsm stock which is pH neutral Acid and Lignin free. This bright white paper contains calcium carbonate as a buffer for atmospheric acids, Wilhelm Imaging Research. Inc of Grinnell, Iowa USA has conducted print permanence testing (conducted at 75T and 60% PH, measured at 450lux, in ‘standard” indoor display for 12 hours per day) on this paper stock, confirming minimum print life of at least 120 -130 years before any noticeable fading occurs under these conditions. Weekend at Garmedi II 47×72.9, 56×104.